Just one page of news debris today. Steve Jobs Theater at Apple Park. Wallpaper.com has published an amazing story about Apple’s Jony Ive and the new HQ at Space Park. “In The Loop.” The photography is drop-dead gorgeous. 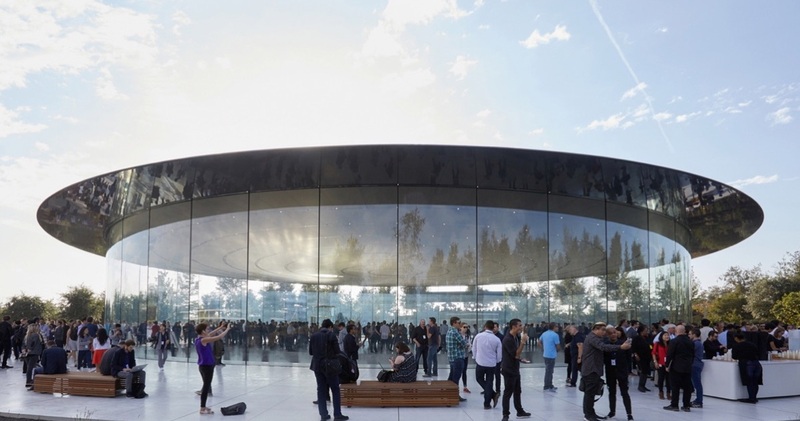 In concert with the visuals, this is a fascinating, grand tour of Apple’s new building and the design elements that went into it. Don’t miss this one. The character of Apple’s workspace and the character of the leadership leads to the character of decision making. • When I wrote about Microsoft’s CEO Satya Nadella and his new book, I noted his comments about how Microsoft had a lot of catching up to do with its cloud services. (How could that have happened, Mr. Ballmer?) One way to do better is partner with a company that can share complementary strengths. “Here’s How Microsoft and Google are Trying to Catch Amazon’s AWS in the Cloud.” In tech, the smart application of partnerships often engenders success. 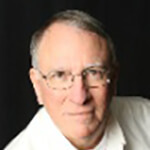 ‘AWS effectively defined the notion of cloud computing,’ says Gartner analyst Ed Anderson. ‘It’s perceived as the cloud leader and pacesetter.’ AWS generated $4.6 billion in sales in the most recent quarter. Every year, it introduces dozens of features and products to retain its edge. It boggles the mind that Amazon could have gotten so far ahead of Microsoft, but now that Mr. Nadella is in charge, he aims to fix that. • You’ve heard about Amazon’s Key serice here before. But when a service is designed to be very affordable, how secure can it be? “Amazon Key hack could make you clueless in a home invasion.” My take is that technology allows engineers to develop and offer technologies at such a rapid pace that too many things fall between the cracks. Security often is the first to fail, and Amazon cannot afford a loss in customer trust. This was a very bad idea. If we lose Net Neutrality, corporations will see it as an opportunity to make all kinds of new and awful decisions in their race for dominance and profits. The founder of the Web, Tim Berners-Lee weighs in. “Tim Berners-Lee on the future of the web: ‘The system is failing’.” On this precipice, corporations will need some very smart decision making to avoid killing the golden goose. Will Apple, someday, need to use some (or most) of its $250 billion in cash to fix the mistakes of others—just to survive? • Previously, I’ve written about the robot called Atlas from Boston Dynamics. In this new demo, Atlas jumps onto boxes and does a backflip. It boggles the mind to think about what future generations of Atlas will be able to do. 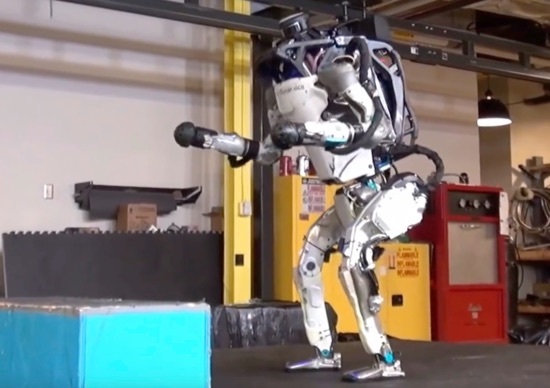 “Boston Dynamics’ Atlas Robot Does Backflips Now And It’s Full-Tilt Insane.” Everyone better start studying the Swift programming language because the era of human manual labor is coming to an end. • Back in 2005-2010, the broadcast industry went through the painful process of upgrading its equipment from Standard Definition (SD) to High Definition (HD). Today, TV stations, strapped for extra cash, are in no great hurry to upgrade their cameras, recording equipment, broadcast systems and antennas to Ultra High Definition (UHD) quite so soon. Despite a significant quantity of content being shot, produced and stored in 4K, only a small proportion of that is readily available to consumers, analyst Tristan Veale said in a statement. It’s going to be fun watching the industry fix that. Along the way, terrestrial HD might well become a ghost town. • Finally, I found this insightful essay by Dan Moren at Macworld. “How Apple turns boring tech chores into exciting key features.” Author Moren is right, and it’s just another subtle example of how Apple continues to succeed in ways that aren’t often immediately obvious. Note: Particle debris will take a break on November 24. Particle Debris is a generally a mix of John Martellaro’s observations and opinions about a standout event or article of the week (preamble on page one) followed on page two by a discussion of articles that didn’t make the TMO headlines, the technical news debris. The column is published most every Friday except for holiday weekends. I can say Apple only one without any research.